Furniture Dept, Argos, Claremont Street, Shrewsbury. Beds, Bedroom Furniture, Dining Room Furniture, Cane Conservatory Furniture, Lounge Furniture, Sofas, Chairs, Childrens Furniture and much much more. 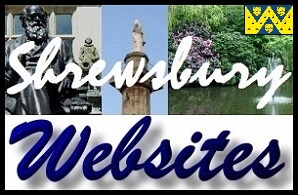 Address; Furniture Dept, 5-6 Claremont Street, Shrewsbury, Shropshire. SY1 1QG. Furniture Dept, Argos Extra, Meole Brace Retail Park, Shrewsbury. 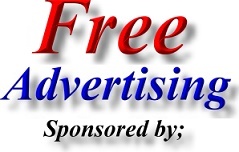 Address; Furniture Dept, Unit 7, Meole Brace Retail Park, Hereford Road, Shrewsbury, Shropshire. SY3 9NB. Furniture Dept, Argos, Smithfield Street, Oswestry. 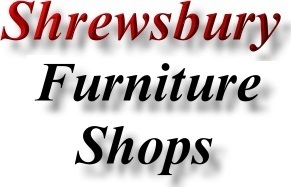 Address; Furniture Dept, Smithfield Street, Oswestry, Shropshire. SY11 2EG. Furniture Dept, Argos, Watergate Street, Whitchurch. Lounge Furniture, Sofas, Chairs, Childrens Furniture, Beds, Bedroom Furniture, Dining Room Furniture, Cane Conservatory Furniture and much much more. Address; Furniture Dept, 5 Watergate Street, Whitchurch, Shropshire. SY13 1DW. Address; Furniture Dept, Penda Retail Park, Salop Road, Oswestry, Shropshire. SY11 2RL. Address; undorne Retail Park, Battlefield Rd, Shrewsbury, Shropshire. SY1 4YA. Address; Furniture Dept, Waymills Road, Whitchurch, Shropshire. SY13 1RS. Shrewsbury Home Furnishings and Fashion, Darwin Shopping Centre, Shrewsbury. Laura Ashley is an internationally recognised brand specialising in high quality home furnishings, womens wear, and childrens wear. Address; Unit SU2, Darwin Shopping Centre, Pride Hill, Shrewsbury, Shropshire. SY1 1BN. Address; Norton Crossroads, Atcham, Shrewsbury, Shropshire, SY4 4UH. Mytton Antiques offer an extensive range of Antique Furniture, Decorative items and Silver Gifts.